Name: Software Engineering Project A. Project. You have to form a team, select a project, and work on it for the next two semesters. Of course, you have to meet a number of uni-imposed deadlines, as well as keeping the client happy. 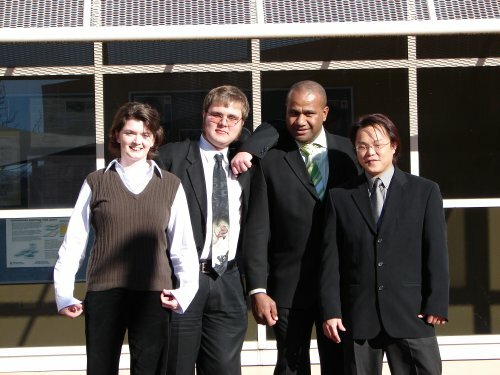 I formed a team with Cariad, Arun, and Andy. Not a bad group - and our project was interesting. We were developing a Book Tracking system for the State Library of Tasmania. We got an initial version going at the end of the first semester, and enhanced it during the second. NOTE:If you are planning on doing project, be aware that it takes a lot of work, and you dont have the normal gaps between assessments, they come thick and fast.